Physician Partners of America (PPOA) is proud to announce James S. St. Louis, D.O., a world-renowned minimally invasive spine surgeon, will join the company on Jan. 2, 2018 at two Tampa locations. 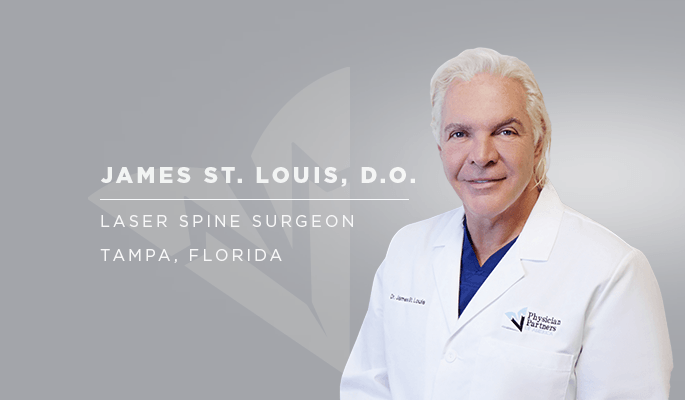 Dr. St. Louis is board certified in Orthopedic Surgery by the American Board of Physician Specialists, and is the surgical founder of Laser Spine Institute in Tampa. His partnership with PPOA represents the company’s new venture into minimally invasive spine surgery as an offshoot of its core practice, interventional pain management. “Dr. 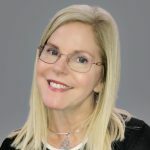 St. Louis’s drive to combine a patient-centric atmosphere with world-class medical care has been a hallmark of his career and meshes perfectly with Physician Partners’ approach to pain management,” said Tracie Lawson, President and COO of PPOA. He will see patients Mondays, Wednesdays and Fridays at the PPOA Orthopedic Suite at 4728 N. Habana Ave., #202; and on Thursdays in its location at 3450 E. Fletcher Ave., Suite #350. Same-day appointments are available. After receiving his bachelor’s and master’s degrees at the University of Wisconsin – La Crosse, he earned his medical degree from the University of Health Sciences Osteopathic Medical School in Kansas City, Mo. After joining the United States Army, he completed a rotating internship at Eisenhower Medical Center in Fort Gordon, Ga., and completed orthopedic residencies at Fort Louis, Wash., and at Kennedy Medical Center in Cherry Hill, N.J. He earned a Meritorious Service Award and Commendation Medal from the Army in 1994. He was appointed by former Governor Charlie Crist to the Florida Board of Osteopathic Medicine, serving from 2008-2012. Dr. St. Louis has served in many leadership positions including director of Cardiac Rehabilitation/Exercise Physiology at Brooke Army Medical Center, director of Cardiac Rehabilitation/director of Cardiac Therapeutics in San Antonio, Texas, chief of surgery at Woodland Medical Center, Ala., and medical director of HealthSouth in Pensacola, Fla. He also worked in private practice before founding Laser Spine Institute.